When you spend a lot of time doing your makeup, you want it to last all day. Setting powder does a great job of blurring pores and holding foundation in place. It has one downside, though. The tool you use to apply it can remove foundation, which is the last thing you want to have happen. Powder puffs have been around for a lot longer than the Beautyblender, and they do a great job of setting foundation when used properly. Setting makeup doesn't mean caking on powder, so watch the following video to see how to apply powder to the puff before pressing it against your face. Think like Goldilocks. Too much powder looks artificial, but too little product isn't effective. "Just right" is the happy medium that you can master in just a few seconds. 1. 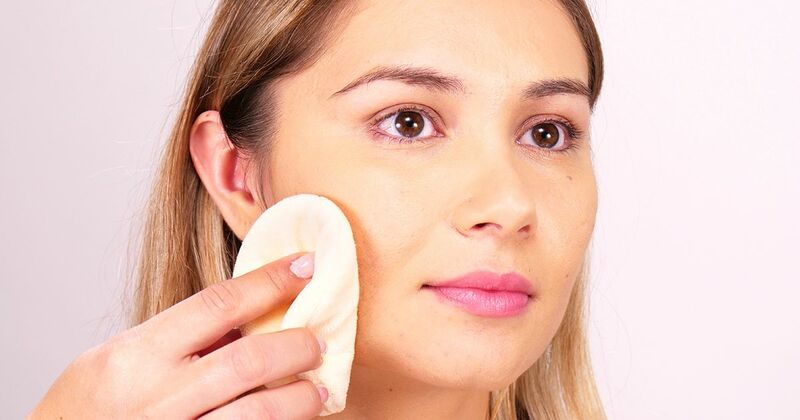 Apply your base makeup as desired with a damp Beautyblender. Allow the makeup to dry at least 2 to 3 minutes before proceeding. This will keep it from looking cakey. 2. Sprinkle loose setting powder onto a powder puff, then fold the puff in half and gently work the powder into it. This prevents you from applying excess powder to your face. 3. Lightly press, pat or roll the powder puff against your skin to set the makeup. 4. If any excess powder is visible on your face, gently sweep it away with a large powder brush. You're all done. Share these makeup tips on Facebook.